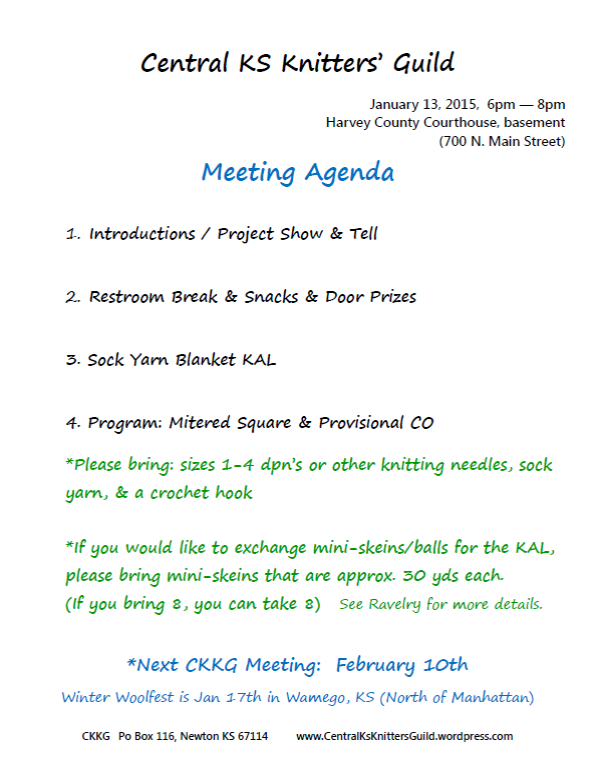 Hope you can join us for the monthly knitting guild meeting! We have a great program on Mitered Squares and will also discuss the Sock Yarn Blanket KAL! We’ll have snacks, so grab your knitting & a friend and join us! Please bring extra knitting supplies for the program (see agenda below). Next Next post: Jumping into 2015!